Wednesday 2nd November 2011 , 6:30 pm. BDD is a set of practices which help software development teams to have conversations about the behavior of their system and how it delivers value to the project stakeholders. BDD has changed from its early roots as a replacement to TDD and now works as a mini-methodology across the whole software lifecycle. Over the last few years the adoption of BDD has grown globally, with dozens of tools created, used by hundreds of projects around the world., In this talk we look at the original reasons behind the creation of BDD, bringing the focus back to the language and conversations which lie at its heart. We look at how BDD's patterns can be applied at multiple scales – from the initial project vision all the way to the code – to deliberately discover and address ignorance in every aspect of software development, producing reliable, maintainable software that matters. Liz is an experienced Lean and Agile coach, trainer, blogger and well-known international speaker. Coming from a strong technical background, her work covers a wide variety of topics, from software development and architecture to psychology and systems thinking. 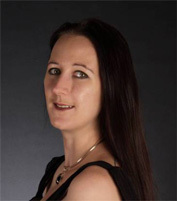 She is best known for her involvement in the BDD community, and was awarded the Gordon Pask award in 2010 for deepening existing ideas in the space and "coming up with some pretty crazy ones of her own".